Reliance has been preparing to make Tehelka in 4G feature phone market through Jio Phone. The booking of Jio phones for beta testers will begin on August 15, while the other users booking for Jio Phone will start from August 24. The delivery of the phone will be done on the basis of the first come before the September month. In the meanwhile, the company has started taking messages from the user through the message of booking the phone. That is, by sending a message you can tell the company that you are willing to buy Jio phone. What is the way to book a Jio phone by sending a message? First of all, tell you that the phone book will not be available through the message. This message service is similar to that, information is being taken from the user about phone booking from Jio’s website. 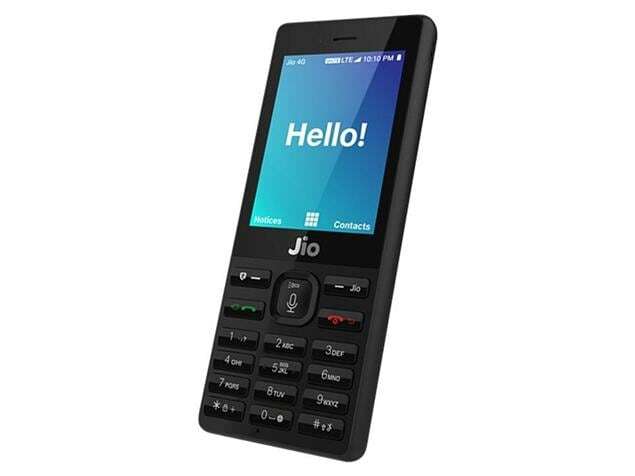 If you are interested in the Jio phone then you have to send a message. After sending the message, you will receive a message saying that you will be given information about booking the phone. In the message, you have to write JP <Pin Code> <Store Code> and send it to 7021170211. As far as the store code is concerned, the Jio Store Code will be found at FIND STORE on JIO.COM. However, not all store codes have been provided on the website. According to the report, the company will soon update the website.